Our video merge tags let you include content from YouTube, Vimeo, Blip.tv, Vzaar, and Wistia in your campaigns. Our friends over at Wistia have taken our tag a step further by adding tracking information within the video merge tag. Include their tag in your campaign and you can see the overall and individual video stats for video loads, visitors, play rate percentage, plays, hours watched, and engagement percentage. 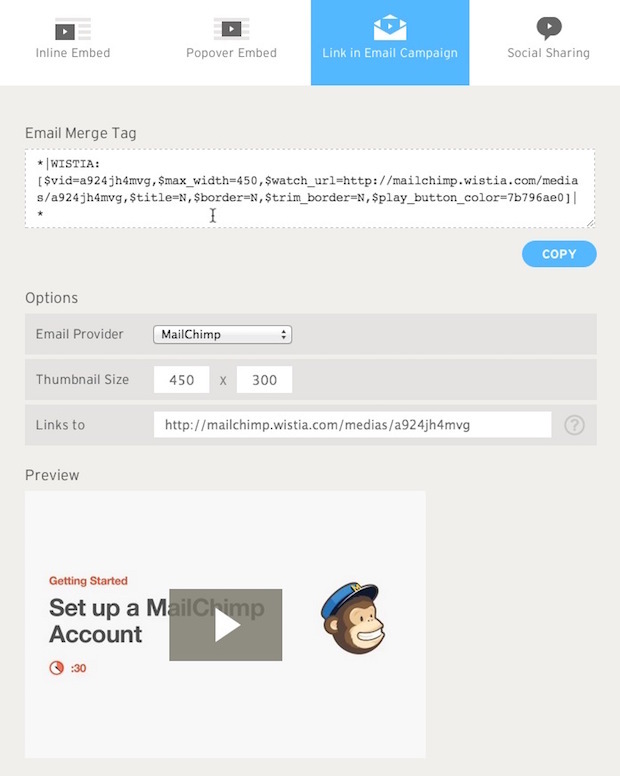 To add a Wistia video merge tag to a Mailchimp campaign, follow these steps. Log into your Wistia account and upload the video that you want to share. Make sure your video is set as a public project. Click Link in Email Campaign. Adjust the settings for the video's thumbnail image. The default Links to URL will direct subscribers to your Wistia Media Page. If you've embedded your video in a landing page, replace the default Links to URL with the landing page URL to direct subscribers there to watch the video. 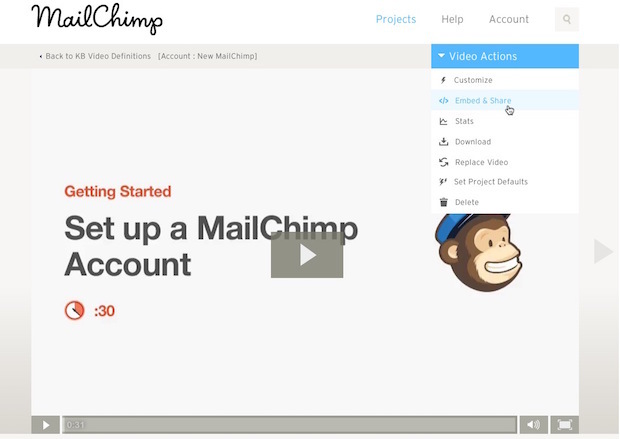 Copy the video merge tag from Wisita and paste it into the body of your Mailchimp campaign. Finish creating your newsletter as you normally would. Be sure to test the merge tag before you send the campaign to your subscribers. When your subscribers receive your campaign and view your video, Wistia will track the views. You can see the stats for the entire video and for each viewer in Wistia. Locate the video, and choose Stats from the Video Actions drop-down menu. 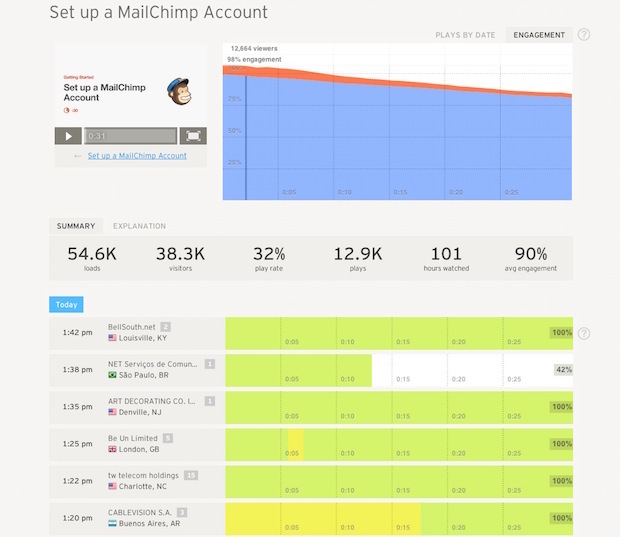 You can get more tips and tricks on the Wistia Mailchimp integration page. Have questions or need help? Get assistance from Wistia at wistia.com/support. I don't see live merge tag info in my Preview Mode. Get suggestions on what to do if you don't see live merge info in your preview mode in Mailchimp.